How could this have happened? How could this typical sixteen-year-old, who less than a week earlier had left home one morning for high school, now be flirting with death by overdose? When Rick Van Warner found himself searching abandoned buildings for his missing son, he had no idea that the synthetic, pill-form heroin that had snared his teen was already killing so many. In the years of pain and heartache that followed as he tried in vain to free his son from the grips of addiction, Van Warner discovered what the public has just recently become aware of: prescription opioids are so addictive that even short-term use can create dependency, igniting a pill and heroin epidemic that now claims over ninety American lives each day. On Pills and Needles not only takes readers on one family's harrowing rollercoaster ride, but it is also a wake-up call and crash course in opioid addiction. A former journalist, Van Warner exposes how Big Pharma deceptively created this national crisis, then spent millions to ensure politicians did nothing to address it for nearly a decade. From the booming recovery business to the inept government policies that increased death counts by pushing the problem into the streets, this maddening epidemic only continues to worsen. Most of all, On Pills and Needles is a heartfelt story of survival, unrelenting love, forgiveness, and acceptance. It’s an inspiring look at how families can persevere while walking alongside loved ones who are dealing with the daily agony of addiction. "Rick Van Warner is a wonderful storyteller. His compelling and honestly disarming book reads like fiction and captures the angst in families where addiction and its collateral damage impact loved ones. He also shows a different path to treatment and recovery than conventional wisdom allows. A real page-turner." On Pills and Needles is a brilliantly written account of one family’s life-and-death battle with opioid addiction. Rick Van Warner maintains the fast-paced intensity of a Grisham novel as he unravels this personal journey through the swirling path of his son’s addiction. We’re not just along for the ride; we’re riding shotgun as we discover the pandemic reach of this addiction. Rick writes in an open, honest, and often vulnerable way in detailing the emotional turmoil for himself, his family, and his addicted son. Helplessness and powerlessness were a given. Yet somehow Rick’s, his family’s, and his son’s heroic struggles bore fruit. As a psychologist, I use the term heroic because that’s what they were and still are. On Pills and Needles is a must-read for every loving parent, with important insight into how kids become addicts and how families might fight and love their way to survival. This is a story as harrowing as it is ultimately hopeful. As our nation grapples with opiate addiction, this brave father shares his family’s story with brutal honesty—one family’s road map out of hell. It is fast-paced, beautifully written, and incredibly moving. On Pills and Needles shows how one family (and by extension, society) was affected by Big Pharma greed and ignorance. This is an excellent read, and I highly recommend it to everyone, not just those affected by the ongoing opioid epidemic. 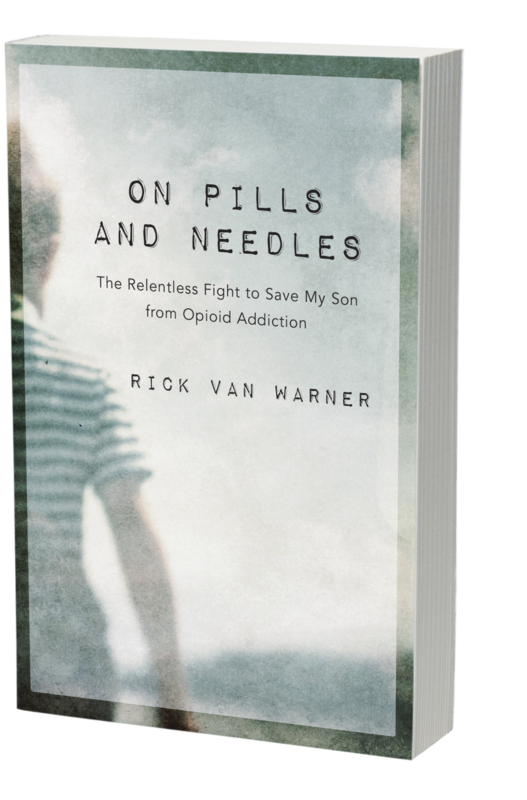 "Rick Van Warner not only takes us through the dangerous back streets of opioid addiction in America but also through the inner chambers of a loving parent's heart. I found myself holding my breath until the very last page." This is a brutally honest account of a father’s plea to a desperate son in his descent into a hell of drug addiction. This searing narrative of abiding love amid tales of pain, anger, and despair is an inspiration for all who have known the heartbreak of children stumbling down destructive paths. Every branch in my family tree has addiction hanging like kudzu from it, and in Rick’s book I found a fellow traveler, a friend who, instead of offering solutions, lent me another perspective. I recommend this book to anyone who has ever had a connection to addiction. This riveting tale tells about the struggle and emotional toll addiction takes on not just its victims but also their families and friends. In one of the most vivid, in-depth ways ever told, Rick Van Warner provides an absolute must-read for anyone who has dealt with or is currently dealing with the realm of addiction. 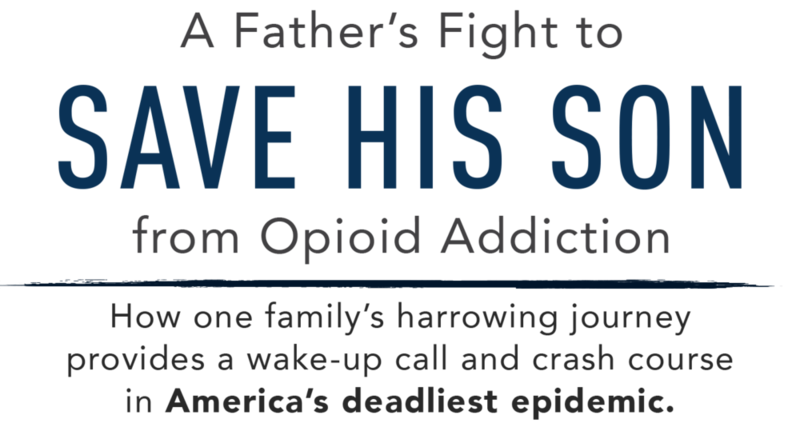 How Rick and his family survived their son’s heartbreaking and gut-wrenching addiction to opioids is a story that is nothing short of horrific, yet ultimately inspirational. It is one man’s blind determination as a father to save his son. This is the story today’s politicians should be reading. "A compelling story. We need public outrage to end this problem. Most importantly, we need to do our best to make sure that no other parent ever gets the call we got—that our beautiful eighteen-year-old daughter, Victoria, had died from a drug overdose." The story Rick tells is immensely personal, but it also touches every family in America. The scourge of prescription drug abuse and the tragic consequences it too often sadly leads to for both teenagers and adults need to be addressed with courage and commitment. In writing On Pills and Needles, Rick Van Warner has provided us with a compelling and unique perspective of the opioid epidemic in the United States. As a medical professional, I cannot help but be impressed with the depth of research and truth this volume has provided for myself, my colleagues, and the lay public. It is a roller-coaster ride accompanied by unfathomable pain and resentment shifting to forgiveness, acceptance, and encouragement as key scaffolds in the bridge to a sustained recovery. Rick Van Warner is a loving father and a gifted writer. I have known him throughout his journey with his son’s addiction, and his moving story has the potential to save many people from going through the agony Rick’s family has endured. CEO, Red Lobster Seafood Co. Through sharing his family’s fight to save their son, Rick paints a sad portrait of a national epidemic that continues to kill thousands each year. This book is a story about a national darkness, personal courage, and a family’s perseverance and refusal to give up on their son in the face of heartbreaking challenges. Rick Van Warner is a Thirty-year veteran of journalism, crisis management, and media relations. Rick was compelled to share his personal story to help other families after recognizing the endemic nature of the current opioid addiction epidemic. A graduate of Syracuse University’s S.I. Newhouse School of Communications, Van Warner began his career as a daily newspaper reporter. Always willing to tackle tough challenges, he also volunteered as a social worker within the New York State youth justice division, where he counseled teens confined to group homes after committing serious crimes. Rick lives in central Florida with his family. For press inquiries, please contact Karen Campbell at karen@karencampbellmedia.com.